Most route optimization systems allow you to upload your orders into their website or program, and then they will eventually give you a series of routes. Most routing programs are not cloud-based, so their system cannot allocate huge amounts of resources as-needed to process your routes very quickly. 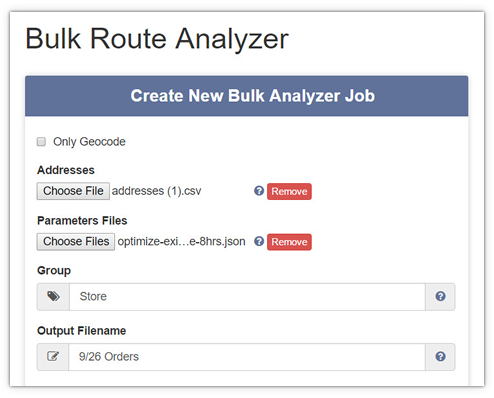 Route4Me’s Batch Routing program permits you to download our automation program to your computer or server. It works on Windows, Mac, and Linux operating systems. To use the program, you need an Enterprise subscription. Then, you just need to select the files you want to transmit to us for route planning. Our system will automatically plan all the routes for you. The routes will appear in your Route4Me.com account, and a copy of all the routes will also be stored on your computer, so you can import them into any other program.